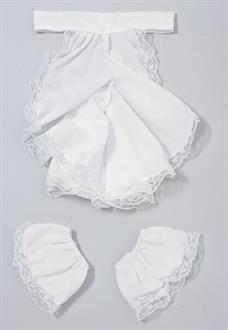 Handsome ruffle jabot with lace trim, matching cuffs included. White Only. Care Instruction: Hand wash. Cold Water. Line Dry. Cool Iron.